But it creates a dilemma. My mom’s diet is primarily Indian. She will rarely venture into salad’s. Vipul is still mainly eating salads. But he cannot will not make dressing. Even if its a simple act of putting together olive oil and lemon/ balsamic vinegar to conjure up a dressing, it is filled with questions. How much lemon juice? Is this much olive oil a lot? Should I add pepper? Or garlic? How about fresh herbs? It still doesn’t taste like what we had two nights ago! 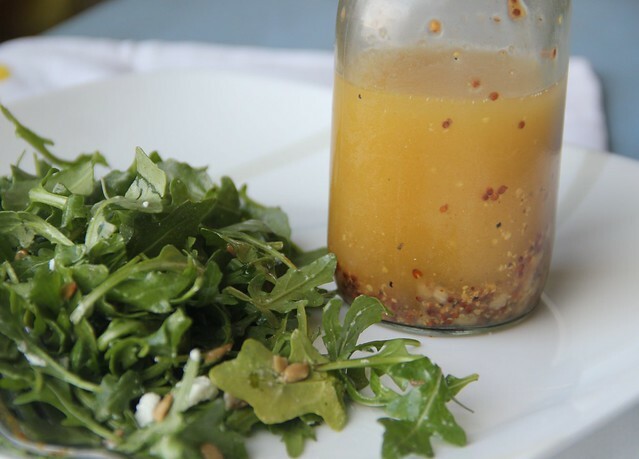 Here is a simple homemade dressing , bottled up and kept in the fridge. No more every day Q & A session on how to make a dressing. Take it out of the fridge, warm it up in microwave a bit, pour as much or as little, toss and serve. We have sorted out one thing out. Now the questions have changed. 1. Mix all the ingredients in a bottle. Shake it till mixed through. Taste and adjust seasonings. Pour over salad immediately or refrigerate for later use. 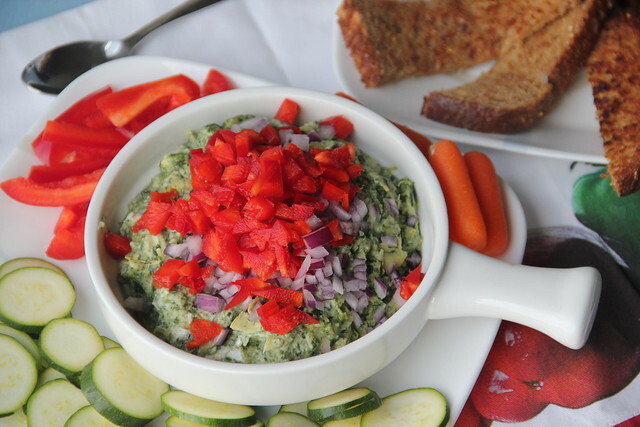 Dips are something I cannot eat in moderation. Salsa’s and Hummus are ok. They can be had without restraint. Possibly some seven layer dips. But what about the warm cheesy dips? 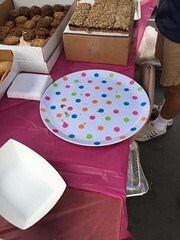 They are inviting and very scrumptious. In restaurants, I manage to finish the dip as I eat it as is. So much cheese can’t really be good for anyone in a single serving. But sometimes heart (or rather taste buds) don’t listen to your brain and then next think we know is that the dip bowl is empty! Now satisfaction kicks in. Later regret kicks in. I needed something that was amazing to taste with no regrets. That’s where a healthified artichoke Spinach dip came into picture. Its full of veggies and using less cheese compared to traditional recipes. Thick Yogurt is what gives it extra creaminess and protein without the excess fat. We topped it with finely diced bell pepper and ate them with veggies ( as well as multi grain toast fingers) for a filling afternoon snack. 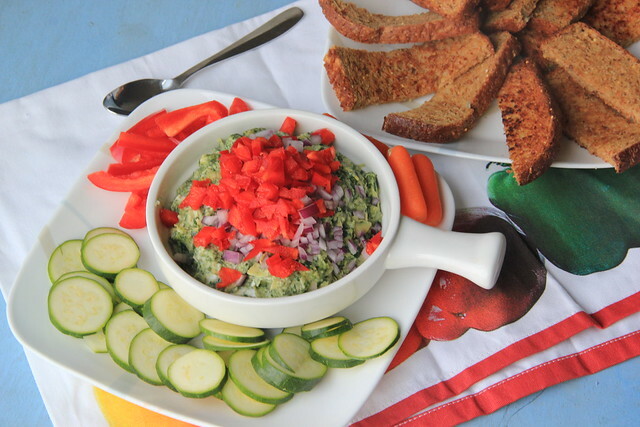 It makes about 3 cups of dip and can be made ahead, frozen and then thawed before serving. We have a stash in our freeze for days when the baby arrives and we are hungry for “something fun/interesting”. It tastes yummy even as is out of the fridge. 1. In a skillet, add artichoke hearts, spinach, 1/2 cup milk, garlic, cumin seeds and paprika. Mix well and let cook for a few minutes on medium-low heat. 2. Stir in the parmesan cheese and let cook for another 2-3 minutes till the cheese melts and is incorporated in the mixture. Lower the heat if necessary. Once cooked, let cool for a couple of minutes. 3. In the meantime, in a bowl, whip greek yogurt with goat cheese. Set aside. 4. Once the artichoke-spinach mixture is cooled, blend it till desired consistency. I like the dip to be smooth with some chunks of artichoke. Skip this step if you like the dip to be chunky. 5. Add the yogurt – goat cheese mixture to the artichoke mixture. Add salt. Mix well. 6. Top with bell pepper and red onions. Its surprising that I haven’t made this earlier. 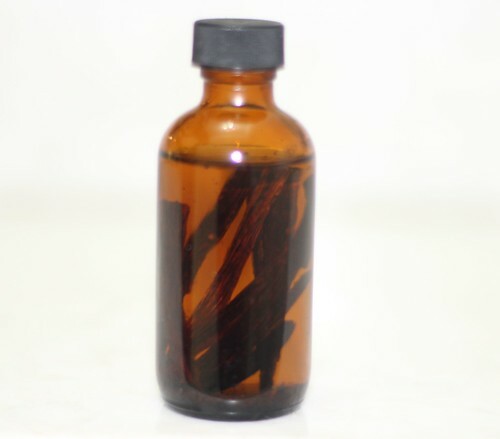 A little bit of alcohol (bourbon or vodka or rum) and vanilla beans set aside for couple of months yield vanilla extract. I mean I have made kumquat flavored vodka before. Why didn’t I see the connection? I used to ask any one travelling to lug back a bottle Nielsen Masey vanilla extract from US which is a bit on the expensive side. 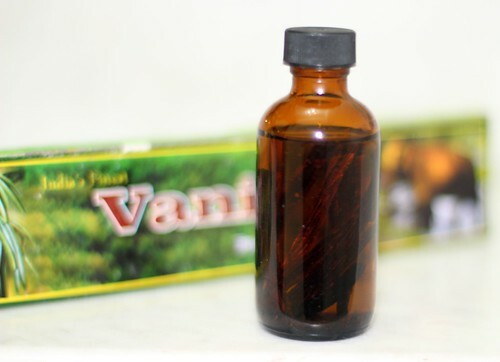 To think about it, top quality vanilla is grown in India and exported. It’s maddening that I should import an extract made from those beans back at an exorbitant price. So, today I set out some beans that we acquired in a co-op in Kochi in rum ( as that is what I had on hand) and hope that in 8 – 10 weeks I will have vanilla extract. Cant wait for that! It will be just in time as my current vanilla extract is getting used up. What are you planning to make this weekend? I am toying with the idea of making Haleem from scratch or chicken momos. If not, at least I will go Haleem tasting this weekend! 1. Split the vanilla bean and add it to the bottle. Cover with alcohol of choice. Close lid. Shake. Set aside in a cool dark place for the vanilla to infuse. Takes bout 8 – 10 weeks. 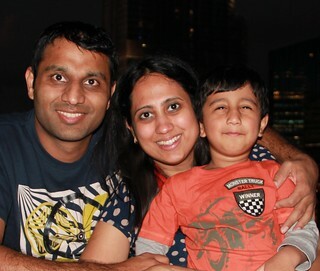 Vipul has been meaning to make Hollandaise Sauce for sometime now. Every time I show him pictures of poached eggs, he thinks about making some. But having heard how temperamental Hollandaise is, we have never actually tried it. Till this past Sunday, he decided to give it a try. Worst case, it will either curdle or thin out. We can throw it out and make something else. Thus mentally prepared we turned to Julia Child’s – Mastering the Art of French Cooking. The only cook book we own.In our experience, no one explains the how and why’s of a recipe better than her. Especially the tricky temperamental ones. 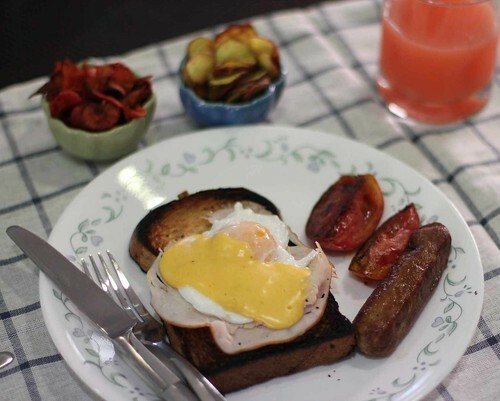 We followed her recipe and were delighted to have creamy hollandaise at the first attempt! We quickly made some poached eggs (another first) and devoured it all. The success of Hollandaise is on preparation and patience. Have all ingredients ready – cold water bath, cold butter as well as softened/melted butter. 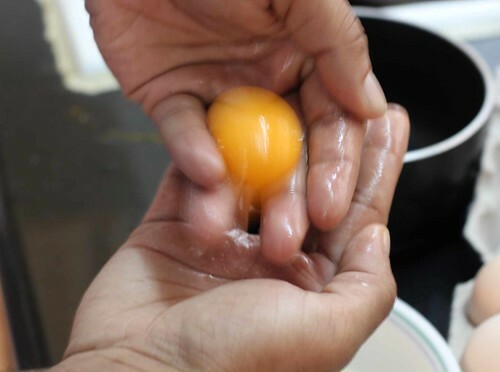 Carefully separate yolks from the egg whites – taking care there is no white left behind as whites cook at lower temperature and can scramble the entire batch. And have a steady hand while whisking. The cold butter acts as an insurance against the eggs scrambling – Ms Child advises! Patience is amply rewarded here with a fragrant lemony sauce that does wonders to eggs, vegetables or even potatoes.Customize it with paprika or mustard to lend a different taste. Be warned this sauce does not store for too long as the egg yolks are partially cooked. Unlike store-bought sauce, this isn’t pasteurized. But like everything homemade, will taste so much better that you will want to make it fresh and use it up all. Luckily we didn’t have the sauce curdle or scramble on us. Neither did it thin out so don’t have any disaster recovery tips. Hopefully the cooking Gods continue to smile on us! From Julia Child’s Mastering the Art of French Cooking. 1. 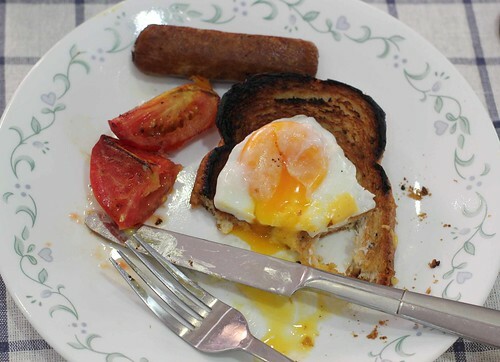 Whisk eggs yolks for about a minute in a saucepan till they are pale yellow and creamy. 2. Add the cold butter, lemon juice, water, salt and pepper and whisk again for a couple of minutes. 3. Now, place the saucepan on low to medium heat. And continue whisking. The sauce will thicken. Now and then take the pan off the heat and whisk, making sure that the whisk reaches the pan’s corners.After couple of minutes, it will drape creamily over the whisk. When you whisk, you will start seeing the pan’s bottom. If you see the sauce curdle or scramble, take it off the heat and plunge the pan in cold water. 4. Now take the pan off the heat and gradually add the softened butter, initially 1/4 tablespoons at a time and later about a table-spoon at a time. 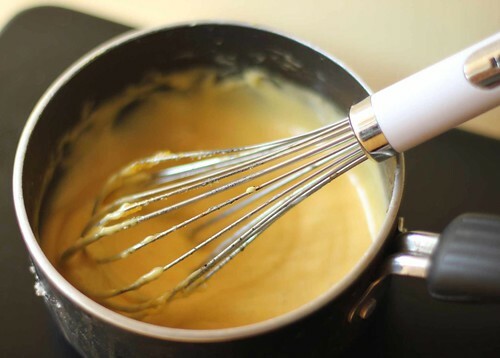 Continue whisking with each addition of butter, letting the yolks absorb the butter before adding more. 5. Once the butter is incorporated, taste, adjust seasoning and keep in the pan next to cooking range if not serving immediately. Serve warm over eggs, veggies or potatoes. Store left overs for up to a day or so in an airtight container in the fridge. Reheat by setting the container in warm water and whisking or microwave for about a minute, whisking at 15 sec intervals. Whenever I have a bad day, am tired or generally feeling down , my go to dinner is to make me some moong dal khichadi and eat it with dollops of ghee and mom’s sweet and sour pickle or devour plain curd – rice with some lemon pickle. My grand mom and aunt used to provide us jars upon jars of pickles that they would loving make in summer and mature in their attic. Whenever we visited in summer we used to find these typical pickle jars lining the top shelf filled with spicy salty mango, chilies and lemon pickles. Some had pickled garlic and fresh pepper berries. Some had whole mango, others had cubed or grated ones. We had strict orders not to touch them and let them age so that the flavors would blend in and reward us with their awesomeness a few months later. 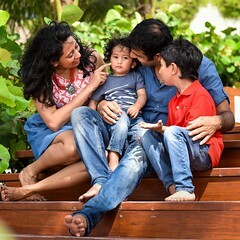 Like curry, every family has their favorite recipe and its handed down through generations. My mom is particularly fond of sweet and sour lemon but didn’t have the patience to wait for months to let it age. So she has a quick pressure-cooker based recipe that cuts down months to couple of days. It doesn’t require a copious amount of chopping and dicing as she lets a blender do the work. Pressure cooking ( or cooking in a slow cooker for entire day), soften the lemon skins as they are tenderized in the sugar -spice concoction. The pickle is amazing as soon as it is out of the cooker. But let it rest for couple of days before digging in. Of course, everything is better with age and this is no exception. If you can squirrel away a bottle and wait for a month or so, this is pure delight. Makes perfect Christmas and hostess gift given the Meyer lemon season around! 1. Chop and de-seed the lemons. Whirl it through a mixer/ blender till it is roughly chopped but is not all ground. 3. Place it in a pressure cooker taking care that water will not enter this pickle container. Let it cook for 15 whistles. Or for 4-6 hours in a slow cooker. 4. Take it off the heat and cool down. 5. Add more sugar , chilli powder and salt per taste. Mix well. 6. Fill in bottles and place them in a cool dry place for couple of days at least. Resist the temptation to open them up during this phase. Two days later, enjoy with aloo paratha’s, pohe or simple curd- rice.